Handmade Irish Jewellery Inspired by Traditional Irish Folklore. I chose the name Casúr Óir to represent my jewellery designs because they are the Irish words for Hammer and Gold. 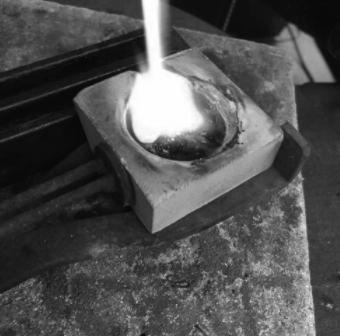 I’ve always been drawn to the old methods, taking the brute force of the hammer to precious metals and stones, using the transformative power of the flame to create something beautiful and unique, to me that is a magic that can’t be described only experienced. The most enjoyment I get is when I can enable clients to experience that magic for themselves, by helping them to express their visions and stories to create a piece of jewellery that is truly personal, yet eternal. "Jason is a wonderful teacher who helped me create a beautiful silver pendant today that I'll treasure forever. He patiently guided me from start to finish, sharing his knowledge and helping me make everything from hand and learning more about cutting, filing, soldering and finishing along the way. I would highly recommend his workshops to anyone wanting to learn or improve their jewellery skills. Can't wait to go back!" 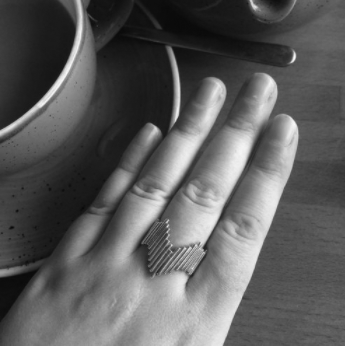 Spend half a day or a full day crafting your very own one-off piece of jewellery. Our one-to-one workshop means that you can truly create something special for yourself or a loved one.